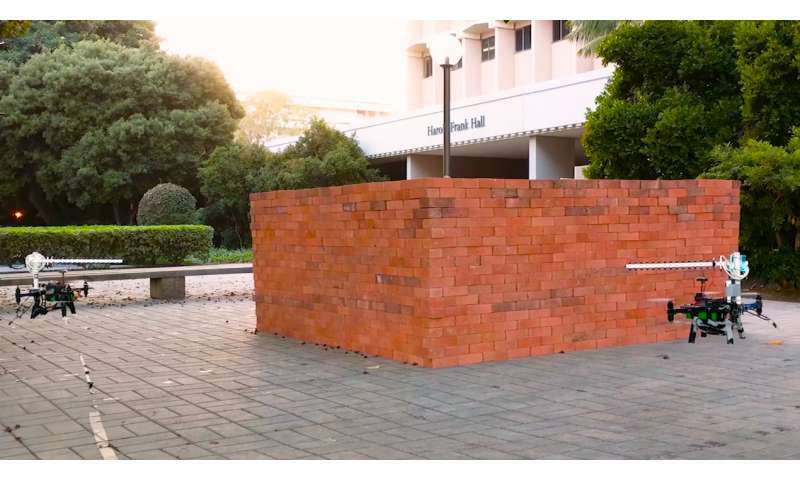 Researchers at UC Santa Barbara professor Yasamin Mostofi's lab have given the first demonstration of three-dimensional imaging of objects through walls using ordinary wireless signal. The technique, which involves two drones working in tandem, could have a variety of applications, such as emergency search-and-rescue, archaeological discovery and structural monitoring. The technique, which involves two drones working in tandem, could have a variety of applications, such as emergency search-and-rescue, archaeological discovery and structural monitoring.